The Marvel Superhero Backpack Collection by Heys has been designed with the unique characteristics of children in mind. These exciting Backpacks come with matching Lunch Bags that can be clipped on to the front of them. This set will thrill children with the popular Marvel characters specially printed on them. These prints feature their favorite Superhero characters such as Iron Man, Spiderman, Thor, Captain America, Hulk and many more. High-quality materials such as Smooth/Soft Satin Fabric, Glitter Fabric and PVC, are used to further enhance the Backpacks’ visual appeal. Detailed matching zipper pullers and embroidered labels also add a special touch to each item. The Backpacks also incorporate key design features that benefit children: foam back-padding, and adjustable and foam-padded shoulder straps make them comfortable to use. They are also lightweight and spacious, they have printed side pouch pockets, and a name tag kids can personalize, making them ideal for everyday use, travel or back-to-school. 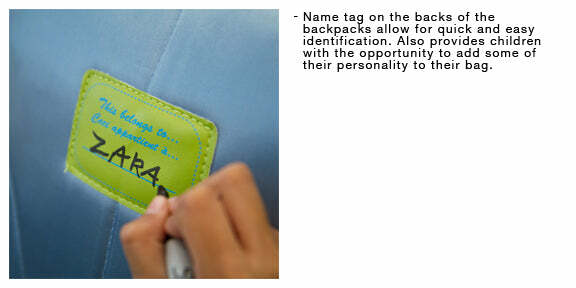 All of these features have been designed to make these Backpacks / Lunch Bags as functional as they are fascinating!